Paula Radcliffe, is one of Britain’s favourite sports personalities, as well as the greatest female long distance runner Britain ever produced. She still holds the world record for the marathon with her time of 2:15:25 hours. This world record was achieved in less than glamorous circumstances at the London Marathon 2005. This shining star proved to the world that she is human like everyone else. She achieved her world record by listening to her body. When she needed to pee, guess what! She squatted on the side of the road to urinate, got up and kept running. She listened to her body and did what the body asked her to do, so that she could focus on her run. She did not let prejudice get in the way of what she wanted to achieve, and went on to win the marathon. This record is still out of reach of others. Her story has been somewhat bitter sweet, she has shone at marathons across the world, but has never been able to pin down a medal at any of the four Olympics she has raced at. She has constantly battled with her body, her asthma, bronchitis and the most tragic of ailments for a runner, osteoarthritis, which attacks her left foot. Nonetheless, these issues she suffers from have been a significant contributor to her anti-doping campaign, encouraging athletes to stay off drugs like EPO that can enhance their performance. She is an inspiration to us all, someone who has achieved the best, yet never been able to shine when she wanted to, a completely organic sportswoman. Paula Radcliffe values an honest win, and for that much she should be awarded a medal. In a world where winning at any cost is slowly but surely driving athletes to extreme measures, Paula Radcliffe stands for clean fun and endless hard work. In the latest ‘What Doctors Don’t Tell You’ (WDDTY), the cause of skin cancer in relation to the sun is discussed. As you can imagine, they are arguing that the doctor’s have not told the truth; surprise, surprise. So, doctors have been warning us that excessive sun ‘exposure’ can cause skin cancer, where as WDDTY suggest that hiding from the sun can cause a host of other illnesses. I am not going to say whether I agree or disagree with either side. I would like to take time to suggest that just like the sun is both good (rainforests) for the earth it is also bad (deserts), and in this same way it is a matter of finding your own balance. You are going to have to figure out how to find your own happy medium, how you use the sun is up to you. I think what often happens is a scare turns into media frenzy and with time, becomes a myth, a myth that often points at excess or deficiency. This is obviously not specific to sun exposure; there are also myths regarding apples causing cancer, apples as anti-oxidant and mobile phones causing cancer. There have also been non-cancer related myths, like chocolate in any form is bad for you and will contribute to your weight issues. 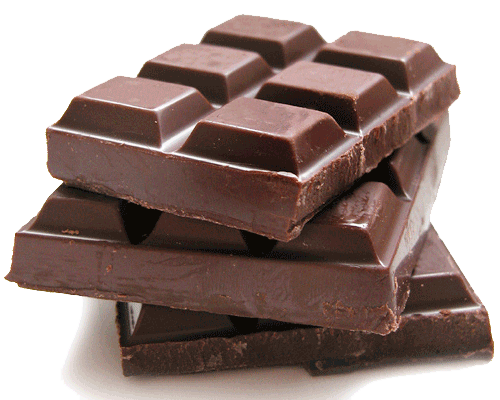 As you can imagine there are ways in which chocolate is excellent for you, for example pure dark chocolate with no sugar is fantastic for teeth and hormones. Now all myths come from some truth, but we must remember that myths are there to remind us that extremes are bad for us. It is up to each individual to listen to their mind and bodies and decide how much is too much and how little is too little. Drawing on last week’s blog we all know how out of tune we are with our bodies. So, maybe, rather than listening to myths and acting on them in extreme ways, why do we not spend time listening to our bodies? I know for example that I need as much Sun as I can get to keep me happy (this does not mean I fall asleep on a sun-bed, in the blazing sun with no SPF on) and chocolate in small amounts contributes very positively to my wellbeing (a nice way to reward myself when I have been particularly productive)! Where do you sit on the spectrum? There are several approaches to healthy eating, and I think in general it is fair to say that from person to person it will be different. Some people may require a much lower sugar intake than others (those suffering from PCOs or Diabetes), others may not be able to eat certain types of green vegetables (may cause allergic reactions, constipation or loose stool) which we are often told are good for us. In theory this is sound advice, however in practice I feel The Fat Nutritionist gives everyone too much credit. Unlike even 200 years ago, we do not talk to our tummies as much as we used to. I think we have stopped listening to it closely and answer it with a very generic “you are hungry so here is some food”. The advice The Fat Nutritionist gives, would require each person to retrain to listen much more closely to their gut. For example, your hunger pang may not be for a biscuit, it may not be for fruit, it may be for a specific type of food, vitamin, mineral or even water. I have often found that the day before I am about to start my period (and I am not the most regular of people) I get a sudden hunger for steak, and in general it is not one of the foods I would pick off a menu. It is a very specific craving, one that will not be satisfied by chocolate or a tray of vegetables. I used to think it was a sugar craving, as most media shows women binging on chocolate during PM times. Chocolate just did not work! I kept eating more and more and realised it was not making me feel better, in fact probably made me feel weaker. Then as I slowly developed my listening skills I realised that my tummy was crying for iron. The tinniest piece of steak would be “satisfying”, “pleasurable” and make me “feel good”. With this in mind I took a lot more time listening more closely to my gut. I kick started with a 2 week detox to level the playing field, I cut out the alcohol, reduced my intake of everything to 3 meals a day with smaller portions and everything home-made (unprocessed) and increased drinking water. I found after this, when I was hungry, I was being much ‘fussier’ about what I wanted to eat. This fussiness was listening for what my body wants. Another issue I have with what The Fat Nutritionist has said is that 49,000 years ago is comparable with today. I think most historians; archaeologists and scientists would agree that the world has changed an awful lot in that time, as have humans, as have the way we interact with our world, including our ways of eating and processing food. 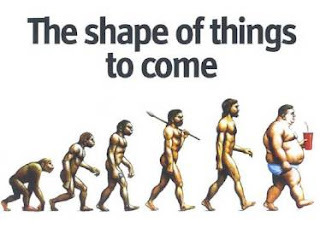 So yes although people are people always, our eating habits have changed, just like our body shapes and size. So all in all, we should eat what is pleasurable, satisfying and makes us feel good but we should also make sure we are listening clearly to what our body is finding pleasurable, satisfying and makes us feel good. 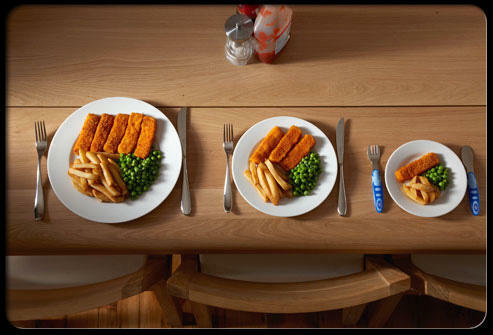 Each person’s body at different times of day is going to be hungry for different types of food. Maybe we have undergone some serious normalisation of eating-habits, and these needs to be undone slightly in-order for us to listen to our bodies; supper at 7, consisting of a light meal may not be the right thing for everyone… and that is supposed to be one of the oldest rules in the ‘healthy eating’ book. We live in a society that is constantly striving for more; more money, more space, more time, more success, more stuff! However, this may also be the cause for more unhappiness is our lives. Does less equal more when it comes to happiness? A recent study at the University of Warwick has suggested that in some cases a pay rise can actually cause a dip in confidence and lead to unhappiness! Let me explain: if a person uses money as a benchmark for success and they receive a pay rise which is not as much as they expected, they may see this as a failure, or certainly in a negative light, possibly thinking they are under appreciated. Graham Hill looks at stuff as a cause for serious life constipation, the more space you have the more you fill it with, and in fact the more cluttered your life is. Sometimes you have to let go of things to make space for better things, in this case let go of ‘stuff’ to make space for happiness. I think the same can be said for our gut... the more you have in it the less happy it is! Bite size is the way forward in life! Don’t clutter your life and tummy with unnecessary junk, only keep the vital good bits, and see how much happier you feel!